Harp 2.0 | CalStar Mortgage, Inc.
What Is The HARP ® Program? The Home Affordable Refinance Program ® 2.0 (HARP ® 2.0) is designed to assist homeowners in refinancing their mortgages – even if they owe more than the home’s current value. How Can HARP ® Help Me? 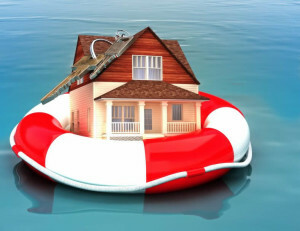 The HARP ® program allows you take advantage of current market rates even if you are “underwater”. Act now to take advantage of the Home Affordable Refinance Program ®, and lower your monthlypayment and/or term using the Fannie Mae/Freddie Mac Streamline process. In an effort to help HARP ® 2.0 to reach more U.S. homeowners, Fannie Mae and Freddie Mac have changed their respective Harp 2.0 mortgage guidelines. HARP ® 2.0 requirements allow Fannie Mae and Freddie Mac to no longer require verfication of income from at least one HARP ® 2.0 borrower. Now HARP ® 2.0 applicants can provide proof that at least 12 months of mortgage payments exist in reserve for the subject property. This includes the sum of principal + interest payments, monthly real estate tax payments, home owners insurances payments, and any requisite association or community dues. HARP ® 2.0 also has fewer documentation requirements. For example HARP ® 2.0 guidelines no longer require verfication of large desposits that appear on applicant’s bank or other asset statements. The HARP ® 2.0 guidelines are newer, simpler, and designed to approve more loans so if you were turned down for the HARP ® program in the past then apply again as you may now meet the requirements.